Are diners at your restaurant in San Diego enjoying the same delicious meals as the diners at the Boston-based location of your restaurant? When you run a food brand that operates nationally, or internationally, it's critical that customers have the same experience from location to location. For a restaurateur, few things are as frustrating as having diners love your food at one place and then be disappointed by their experience at another– or, worse, have such a negative experience with a meal that they never visit any other locations again. There’s nothing easy about quality control. The good news, however, is that sous vide can offer the control restaurants and manufacturers need for this hard-to-achieve consistency from location to location. If you are new to sous vide, don’t be put off by the fancy name! Cooking sous vide is actually a lot easier than the name would make it sound. In fact, when you have the right equipment, it’s as simple as (vacuum) sealing your ingredients inside a (food-grade) plastic bag, placing this bag in a water bath, and then setting your cooker to hold a target temperature. Once your food reaches this temperature, take it out for a quick sear (as needed) and then– voila!– ready to serve. 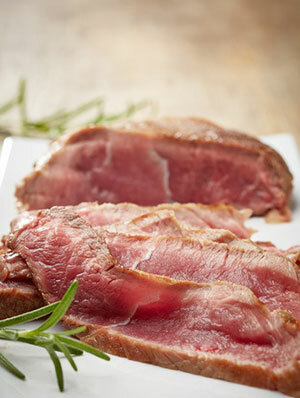 Sous vide delivers consistent results that are nearly impossible to achieve through traditional cooking means. Let’s take, for example, the challenge of cooking a juicy steak to a perfect medium rare core temperature. As any cook knows, getting the steak to a perfect medium rare in a home kitchen is not always easy, but it is certainly achievable. Cooking 15 steaks at once in a busy restaurant kitchen to varying temperatures, however, becomes very complex. Furthermore, even if the core temperature is achieved, parts of the steak may be overcooked. With sous vide, that’s no longer a problem. Cooking a steak using the sous vide method to a specific temperature and then giving it a quick pan-sear will consistently yield a juicier steak than one that is cooked through conventional means. Sous vide is not just great for cooking steaks, but also great for cooking many types of meat and seafood. Frying a piece of fish, for example can be a challenging process since the window for proper “doneness” is usually very narrow. With the temperature of the frying pan often hotter than the ideal core temperature of the fish, invariably, the edges of the fish will be cooked more than the center. This leads to inconsistent results not only between restaurants but within restaurants, too! Folks at the same dining table can order the same fish and receive it cooked in multiple different ways. With sous vide, however, the fish will look and taste great even it spends a few extra minutes at the target temperature. Your restaurant’s line cooks won’t need to panic about overcooking the fish and can instead focus on more interesting and creative aspects of cooking. Sous Vide Recipes Are Becoming Popular in Home Kitchens, Too. A favorite of busy chefs looking for simple ways to ensure delicious and consistent meals every time, sous vide recipes and cooking techniques are increasingly popular in home kitchens, too. High-end cooking stores like Williams-Sonoma have begun promoting sous vide at their flagships stores, in their catalogues and online. Culinary magazines like Food & Wine are also touting the benefits of sous vide cooking. As more home cooks discover the benefits of cooking sous vide– and how delicious and easy it is to consistently cook food – restaurant owners are being forced to play catch-up. Don’t let your restaurant fall behind! Whether you have multiple locations within your local community or throughout the country, sous vide cooking helps ensure consistent culinary success each and every time.